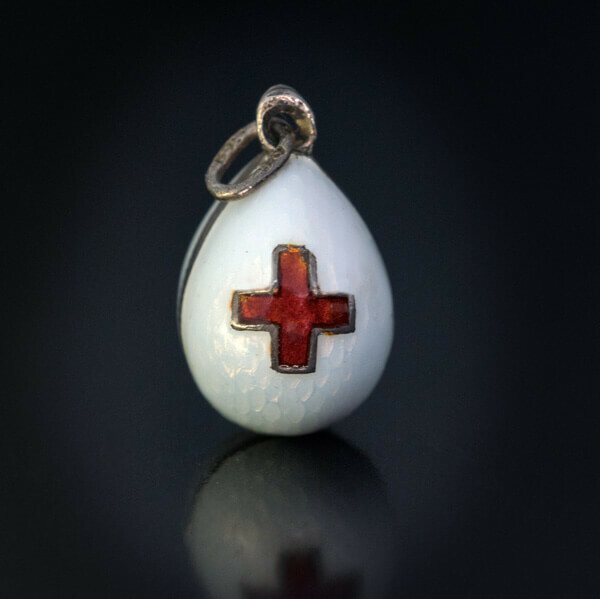 This Faberge Red Cross egg pendant was made during World War I. 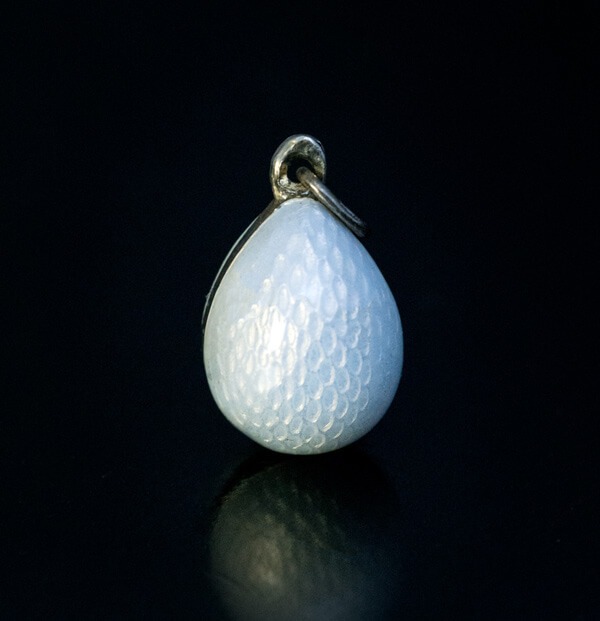 The egg consists of two silver halves covered with pearl white guilloche enamel. 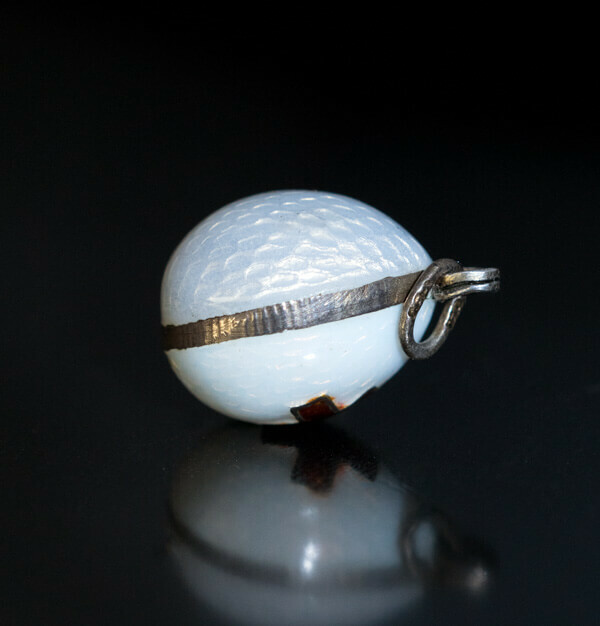 One side is enameled with a red cross, and the other side is plain white with a more prominent guilloche pattern and a deeper color of enamel. This type of Faberge egg was produced in large quantities compared to other designs, to support the war effort. 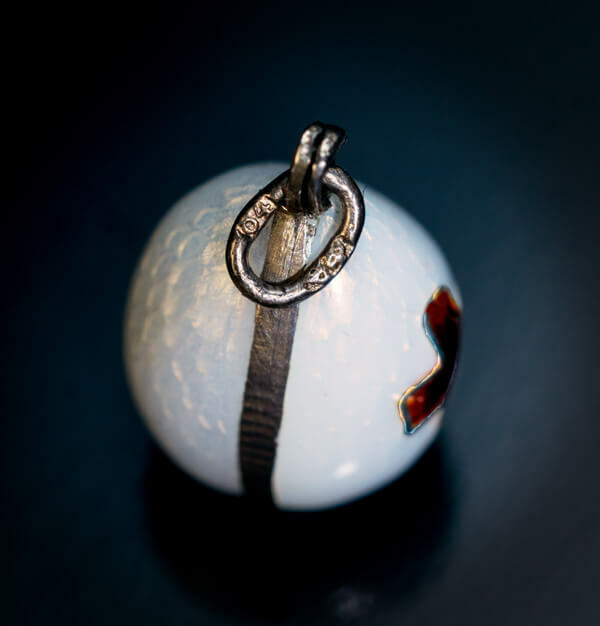 The egg is marked with 84 zolotnik old Russian silver standard and initials ‘ФА’ for Faberge’s workmaster Feodor Afanasiev.